Adjara (Georgian: აჭარა [at͡ʃʼara]), officially known as the Autonomous Republic of Adjara (Georgian: აჭარის ავტონომიური რესპუბლიკა [at͡ʃʼaris avtʼɔnɔmiuri rɛspʼublikʼa]), is a historical, geographic and political-administrative region of Georgia. Located in the country's southwestern corner, Adjara lies on the coast of the Black Sea near the foot of the Lesser Caucasus Mountains, north of Turkey. It is an important tourism destination and includes Georgia's second-largest city of Batumi as its capital. About 350,000 people live on its 2,880 km2. Adjara is home to the Adjarians, a regional subgroup of Georgians. Adjara's name can be spelled in a number of ways, including Ajara, Ajaria, Adjaria, Adzharia, and Achara, among others. Under the Soviet Union, Adjara was part of the Georgian Soviet Socialist Republic as the Adjarian ASSR. 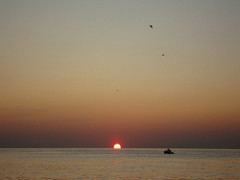 Adjara has been part of Colchis and Caucasian Iberia since ancient times. Colonized by Greeks in the 5th century BC, the region fell under Rome in the 2nd century BC. It became part of the region of Egrisi before being incorporated into the unified Georgian Kingdom in the 9th century AD. The Ottomans conquered the area in 1614. The people of Adjara converted to Islam in this period. The Ottomans were forced to cede Adjara to the expanding Russian Empire in 1878. After a temporary occupation by Turkish and British troops in 1918–1920, Adjara became part of the Democratic Republic of Georgia in 1920. After a brief military conflict in March 1921, Ankara's government ceded the territory to Georgia under Article VI of Treaty of Kars on the condition that autonomy be provided for the Muslim population. The Soviet Union established the Adjar Autonomous Soviet Socialist Republic in 1921 in accord with this clause. Thus, Adjara was still a component part of Georgia, but with considerable local autonomy. After the dissolution of the Soviet Union in 1991, Adjara became part of a newly independent but politically divided Republic of Georgia. It avoided being dragged into the chaos and civil war that afflicted the rest of the country between 1991 and 1993 due largely to the authoritarian rule of its leader Aslan Abashidze. 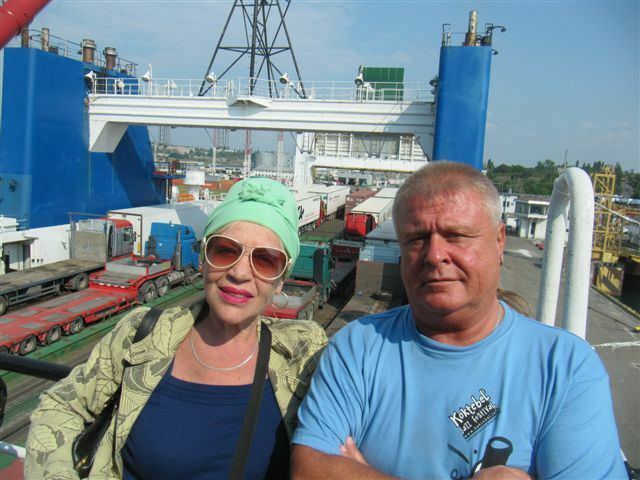 Although he successfully maintained order in Adjara and made it one of the country's most prosperous regions, he was accused of involvement in organised crime—notably large-scale smuggling to fund his government and enrich himself. The central government in Tbilisi had very little say in what went on in Adjara during the presidency of Eduard Shevardnadze. This changed following the Rose Revolution of 2003 when Shevardnadze was deposed in favour of the reformist opposition leader Mikheil Saakashvili, who pledged to crack down on separatism within Georgia. In the spring of 2004, a major crisis in Adjara erupted as the central government sought to reimpose its authority on the region. It threatened to develop into an armed confrontation. However, Saakashvili's ultimatums and mass protests against Abashidze's autocratic rule forced the Adjaran leader to resign in May 2004, following which he went into exile in Russia. After Abashidze's ousting, a new law was introduced to redefine the terms of Adjara's autonomy. Levan Varshalomidze succeeded Abashidze as the chairman of the government. In November 2007 Russia ended its two century military presence in Georgia by withdrawing from the 12th Military Base (the former 145th Motor Rifle Division) in Batumi. Since mid-2000s Turkey has expanded its influence over Adjara. Turkish influence can be seen in the region's economy and in the religious life—through the region's Muslim population. The status of the Adjaran Autonomous Republic is defined by Georgia's law on Adjara and the region's new constitution, adopted following the ousting of Aslan Abashidze. The local legislative body is the Parliament. The head of the region's government—the Council of Ministers of Adjara—is nominated by the President of Georgia who also has powers to dissolve the assembly and government and to overrule local authorities on issues where the constitution of Georgia is contravened. Zurab Pataridze is the current head of the Adjaran government. Adjara is located on the south-eastern coast of the Black Sea and extends into the wooded foothills and mountains of the Lesser Caucasus. It has borders with the region of Guria to the north, Samtskhe-Javakheti to the east and Turkey to the south. Most of Adjara's territory either consists of hills or mountains. The highest mountains rise more than 3,000 meters (9,800 feet) above sea level. Around 60% of Adjara is covered by forests. Many parts of the Meskheti Range (the west-facing slopes) are covered by temperate rain forests. 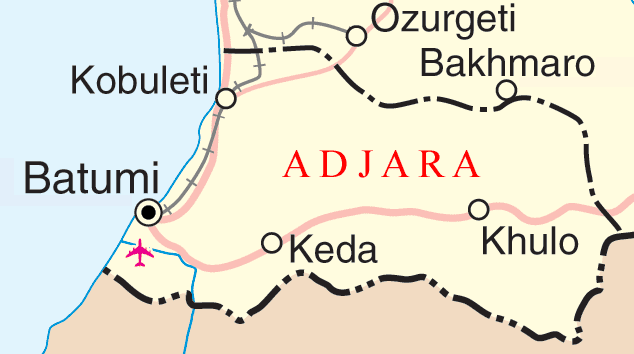 Adjara is traversed by the northeasterly line of equal latitude and longitude. Adjara is well known for its humid climate (especially along the coastal regions) and prolonged rainy weather, although there is plentiful sunshine during the spring and summer months. Adjara receives the highest amounts of precipitation both in Georgia and in the Caucasus. It is also one of the wettest temperate regions in the northern hemisphere. No region along Adjara's coast receives less than 2,200 mm (86.6 in) of precipitation per year. The west-facing (windward) slopes of the Meskheti Range receive upwards of 4,500 mm (177.2 in) of precipitation per year. The coastal lowlands receive most of the precipitation in the form of rain (due to the area's subtropical climate). September and October are usually the wettest months. Batumi's average monthly rainfall for the month of September is 410 mm (16.14 in). The interior parts of Adjara are considerably drier than the coastal mountains and lowlands. Winter usually brings significant snowfall to the higher regions of Adjara, where snowfall often reaches several meters. Average summer temperatures are between 22–24 degrees Celsius in the lowland areas and 17–21 degrees Celsius in the highlands. The highest areas of Adjara have lower temperatures. Average winter temperatures are between 4–6 degrees Celsius along the coast while the interior areas and mountains average around -3–2 degrees Celsius. Some of the highest mountains of Adjara have average winter temperatures of -8–(-7) degrees Celsius. Adjara has good land for growing tea, citrus fruits and tobacco. Mountainous and forested, the region has a subtropical climate, and there are many health resorts. Tobacco, tea, citrus fruits, and avocados are leading crops; livestock raising is also important. Industries include tea packing, tobacco processing, fruit and fish canning, oil refining, and shipbuilding. The regional capital, Batumi, is an important gateway for the shipment of goods heading into Georgia, Azerbaijan and landlocked Armenia. The port of Batumi is used for the shipment of oil from Kazakhstan and Turkmenistan. Its oil refinery handles Caspian oil from Azerbaijan which arrives by pipeline to Supsa port and is transported from there to Batumi by rail. 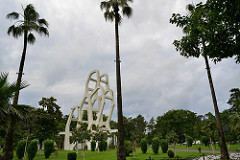 The Adjaran capital is a centre for shipbuilding and manufacturing. Adjara is the main center of Georgia's coastal tourism industry, having displaced the northwestern province of Abkhazia since that region's de facto secession from Georgia in 1993. 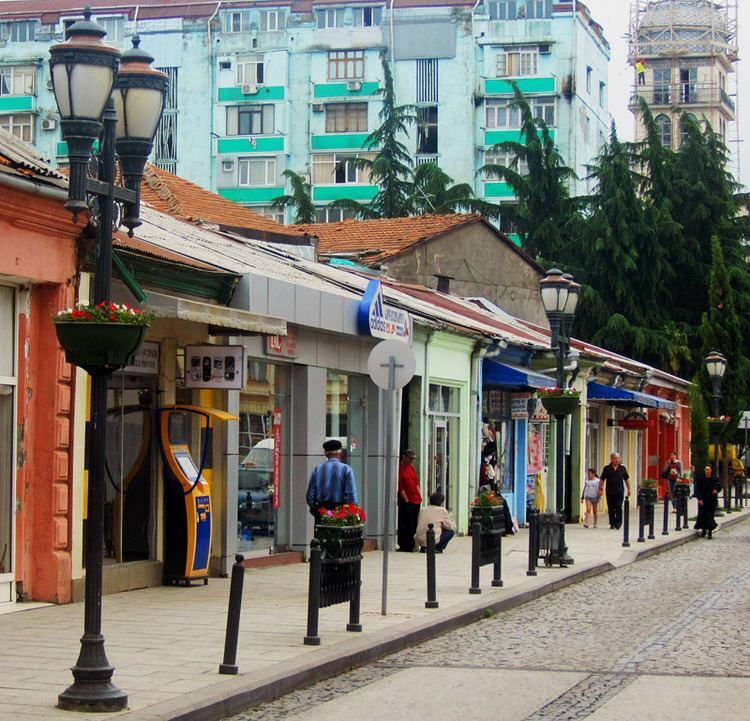 According to the 2014 census, the population of Adjara is 333,953. The Adjarians (Ajars) are an ethnographic group of the Georgian people who speak a group of local dialects known collectively as Adjarian. The written language is Georgian. The Georgian population of Adjara had been generally known as "Muslim Georgians" until the 1926 Soviet census which listed them as "Ajars" and counted 71,000 of them. Later, they were simply classified under a broader category of Georgians as no official Soviet census asked about religion. Today, calling them "Muslim Georgians" would be a misnomer in any case as Adjarans are now about 70% Christian (see below). Ethnic minorities include Russians, Armenians, Pontic Greeks, Abkhaz, etc. The collapse of the Soviet Union and the re-establishment of Georgia's independence accelerated re-Christianisation, especially among the young. However, there are still remaining Sunni Muslim communities in Adjara, mainly in the Khulo district. According to the 2014 Georgian national census, 70% were Orthodox Christians, and 30% Muslim. The remaining were Armenian Christians (0.3%), and others (3%). Selimoba is held in Bako village, Khulo Municipality on July 3 and commemorates the life of Selim Khimshiashvili. A concert with the participation of local amateur groups of a folk handicraft products exhibition is held during the festival. It is supported by Ministry of Education, Culture and Sports of Adjara. Shuamtoba ("inter-mountain festival") is a traditional festival, which is held on the summer mountain pastures of two municipalities (Khulo and Shuakhevi), in the first weekend of every August. Horse racing, folk handicraft products exhibition and a concert involving folk ensembles are held on Shuamtoba. Machakhloba is Machakhela gorge festivity, held in the second half of September. It is a traditional holiday celebrated in Machakhela gorge, Khelvachauri Municipality. Festival begins at the Machakhela rifle monument (at the point of convergence of rivers Machakhela and Chorokhi), continues in the village Machakhispiri and ends in the village Zeda Chkhutuneti. Kolkhoba is an ancient Laz festival. It is held at the end of August or at the beginning of September in Sarpi village, Khelvachauri District. The myth about Argonauts is performed on stage during the festival. Tbeli Abuserisdze (1190–1240), a Georgian writer and scientist. Selim Khimshiashvili (3 June 1815), as Pasha (Minister) of Ottoman and Russia Political Affairs on 1802. Ahmed-Pasha Khimshiashvili (died 1836), Great Ottoman Pasha. Memed Abashidze (1873–1941), a prominent political leader of Muslim Georgians. Aslan Abashidze (born 1938), an ousted regional leader. Zurab Nogaideli (born 1964), former Prime Minister of Georgia (3 February 2005 – 16 November 2007). Levan Varshalomidze (born 1972), Head of the Adjarian Government, 2004–2012.